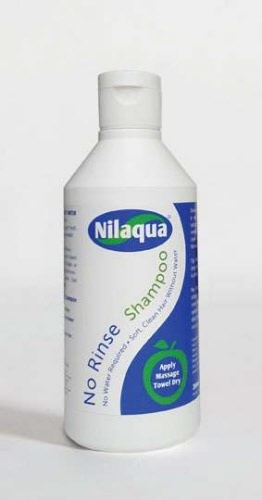 Nilaqua No Rinse Shampoo is the amazing new way to get fresh clean hair without using water. It wets your hair like a traditional shampoo and cleans without leaving any streaks or sticky residues. It’s mild non-irritating formula leaves hair beautifully soft and clean. Paraben free and pH balanced. Simply apply the liquid directly to the area, massage to lift up any dirt and grease, then remove by towel drying.